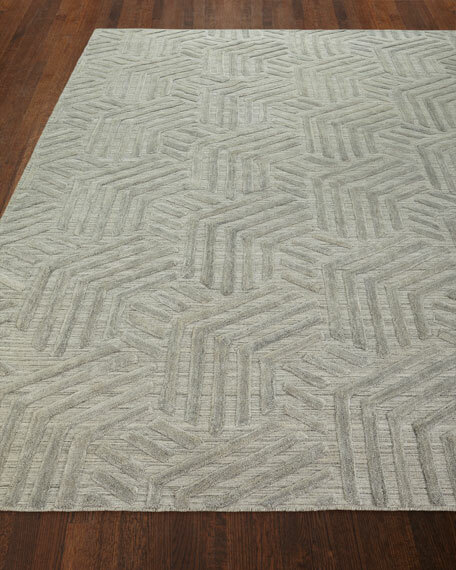 This is a tailored, sophisticated contemporary look that is both woven and hand knotted in India. 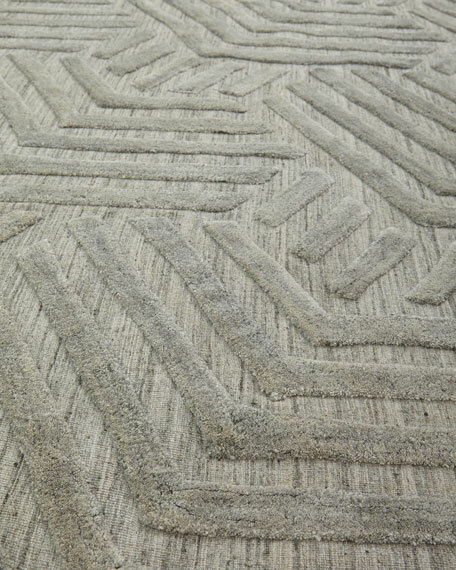 The New Zealand wool pile has been plied with viscose to give this design a dramatic rich texture and patina. 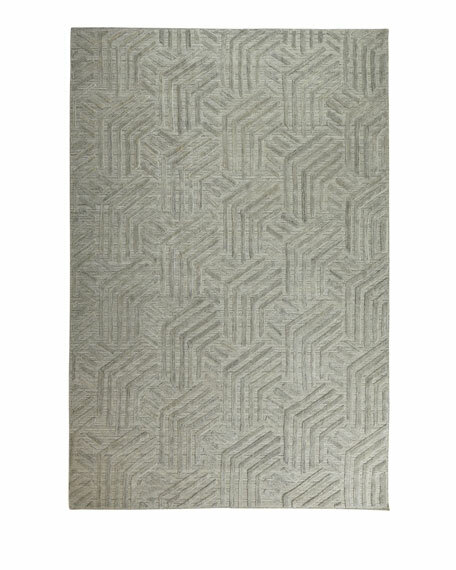 The on trend transitional geometric design will compliment a wide range of décors.